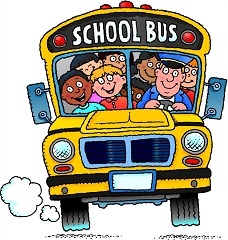 The School Bus Scholarship Program provides an opportunity for Lebanon County Schools (grades K-12) to obtain the funding needed for bus transportation for a field trip to tour the Greater Lebanon Refuse Authority facilities. The School Bus Scholarship provides for 100 percent of the cost of the school to obtain a school bus (non-charter) and driver specifically for a tour of the Greater Lebanon Refuse Authority. It is the responsibility of the scholarship recipient to make all necessary arrangements with the school bus company and to assume all liability for transportation of students to and from the Greater Lebanon Refuse Authority. No portion of the cost for a bus/driver may be passed on to the student. The Authority will reimburse the scholarship recipient within 30 days of the completion of the field trip. For an application or any questions, please contact Amy Mazzella di Bosco, Recycling Coordinator, at 717-867-5790 Ext. 307.